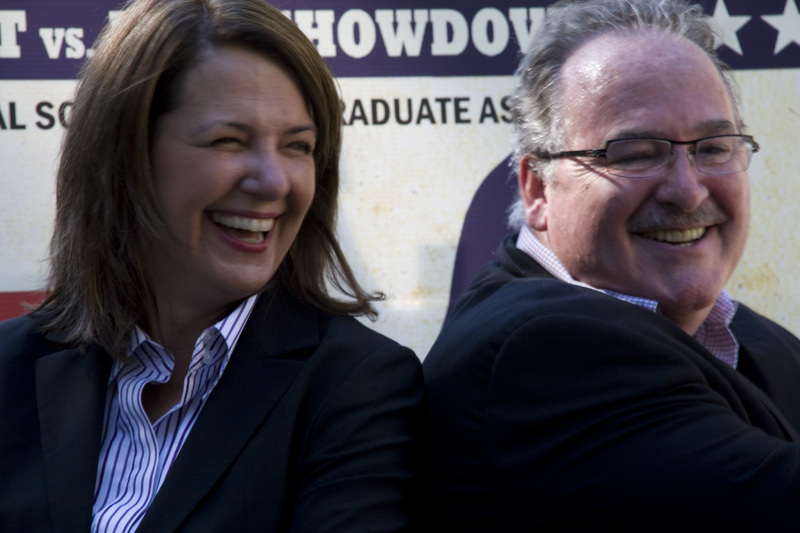 ← Someone Has Upped the Satiric Ante on Twitter Feed: Are You on Twitter #abpse Yet? 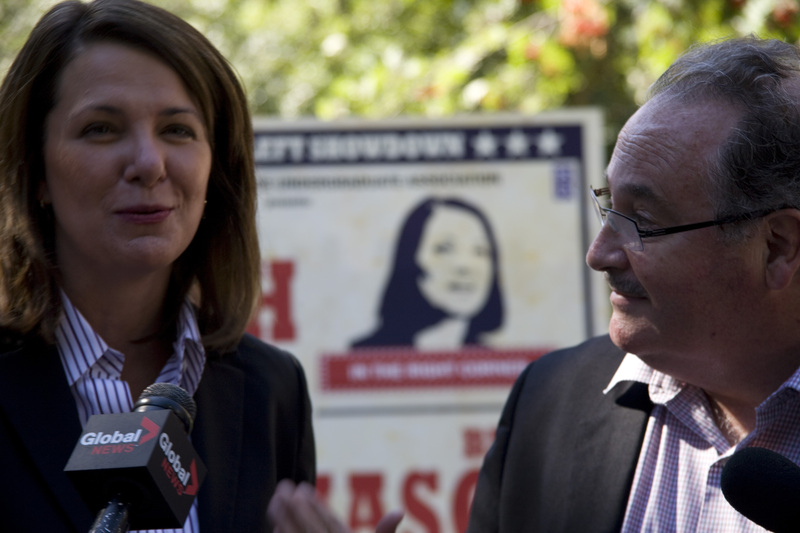 Earlier this week, Brian Mason of the New Democratic Party and Danielle Smith of the Wild Rose appeared on campus to talk to media about their upcoming series of debates on campuses around the province. The debates, a response to the Progressive Conservatives widely denounced policy on postsecondary education in Alberta, which involved a $147 million or 7% cut to the system in its March 7th budget, will kick off at the University of Alberta on September 18th. Although this goes unnoted in the Edmonton Journal’s account, the debates are intended, Mason declared, to catalyze the imagining of a post-PC Alberta. The Progressive Conservatives have been in power in Alberta for over forty years. Mason’s stated aim is to show Albertans why they should swing left, rather than further right, with their next choice of Government. It will be fascinating to hear what Smith has to say to distinguish her party from the Progressive Conservatives, especially on the issue of postsecondary education in Alberta. The Journal declares the idea “quaint,” and as having nothing to do with “the real world.” My guess is Mason and Smith will show Alberta’s students (and new voters) otherwise. This entry was posted in alberta funding for post-secondary education, alberta postsecondary education and tagged brian mason, danielle smith, new democratic party alberta, wild rose party alberta. Bookmark the permalink.